The Higher Learning Commission (HLC) assurance argument is a rigorous process for those on campus preparing materials, and for the peer reviewers who review them, visit campus, and report on their findings. Recently, peer reviewers Kathy Adair, Director of Development and Assessment at Bay Mills Community College, and Summer DeProw, Interim Assistant Vice Chancellor for Academic Affairs and Director of Assessment at Arkansas State University, shared insights from their perspectives as peer reviewers as well as participants in accreditation reporting on their respective campuses. 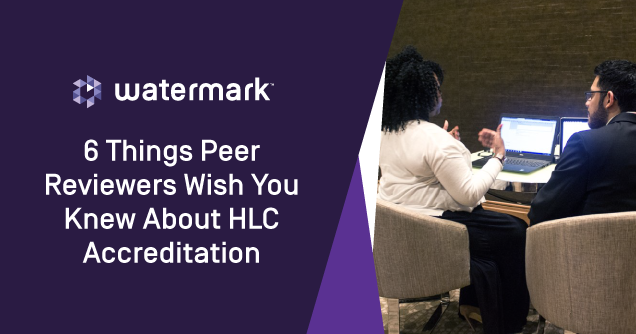 Here are six key things they wish every institution knew about HLC accreditation and peer review visits. Before they ever come to campus, peer reviewers read your assurance argument and review your supporting evidence. But Adair and DeProw see institutions that make their argument based on what they understand or believe about their institution rather than based on the evidence they include. “Sometimes there’s a gap, where within the institution, we know something—we’re here every day—but that’s not substantiation. You can’t just say students are happy. 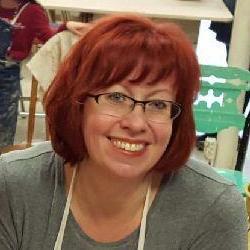 Show a student survey that demonstrates they’re happy with the institution,” Adair said. The assurance argument is locked down 30 days prior to a site visit. That leaves peer reviewers just 30 days to read the argument, create an agenda, and request meetings ahead of the campus visit. This can cause anxiety on campus, as requests for interviews may come just 10 days before the peer review team arrives. “I recommend that every institution have at least one peer reviewer,” Adair said. “It’s beneficial to have someone who has that inside view of the process. It gives the institution an understanding of the issues that come up most often.” Adair considers it invaluable training, and noted that it doesn’t cost the institution anything, as reviewers are paid by HLC—the institution just has to allow the time off. Bay Mills, a small tribal institution with 450 students, has two peer review evaluators on campus; ASU has four peer reviewers, and hopes to have more in the future. You can learn more about becoming an HLC peer reviewer here.